The campaign for Better Transport has today claimed that the government’s plan to raise the speed limit on motorways to 80 mph is a stealth tax. The new measure would bring in the government an extra £500 million a year at the expense of ordinary drivers and the environment. 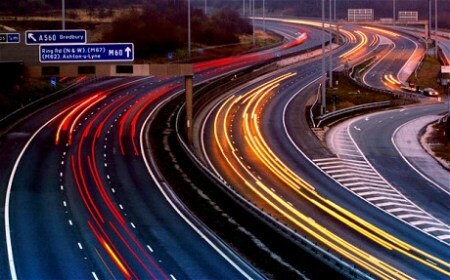 The time/financial benefits at being able to travel faster have been shown to have a negative impact on British drivers. When combine this with the already widely reported environmental concerns you get an unpalatable policy, even for you petrolheads out there. I thought you’d find something to whinge about with this! – That the vehicles driven by those drivers who drive at an increased velocity will follow the model of decreased fuel consumption put out by the DoT a couple of years ago, before the latest round of turbodiesels and eight-speed gearbox with hypercruising gears. The fact is that research by the Grauniad, of all things, suggests that 94% of all drivers admit to breaking the motorway speed limit. As Philip Hammond has stated, when a law is broken commonly by otherwise law-abiding subjects (like you and I), that law loses its legitimacy. Sensibly policy-making in my view.